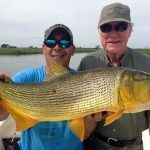 Every once in a while we publish an article about a group’s stay at one of our lodges, about a great recipe done by our chef, or how the season is going. 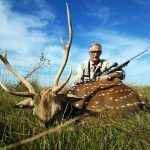 This time we have decided to share and article written by one of our guests about his stay at Estancia Cortaderas last June. Take five minutes and enjoy his words, it can’t get more real than this! 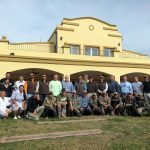 My typical trip to Argentina has been three days of dove shooting. A couple of times I’ve also shot perdiz or ducks and pigeons, one time. Adding ducks, perdiz or pigeons often requires one or more changes of location, which isn’t really possible during a three day trip. So, when I heard about a five day package that included all four species from one location I thought, who wouldn’t want to do that? 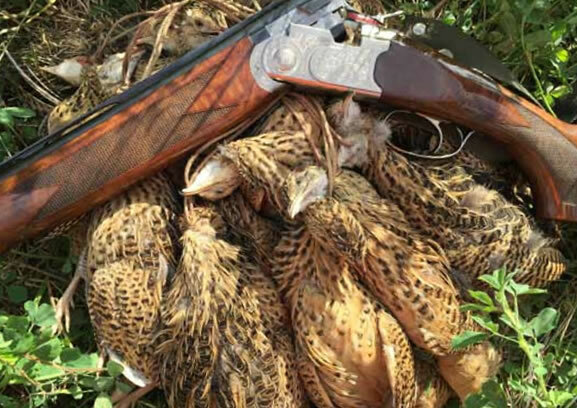 Five days of hunting broke down into five mornings and five afternoons – ten different hunts; although one day we shot pigeons in the morning and again in the afternoon – in the same field, with a very special lunch break in some nearby shade. 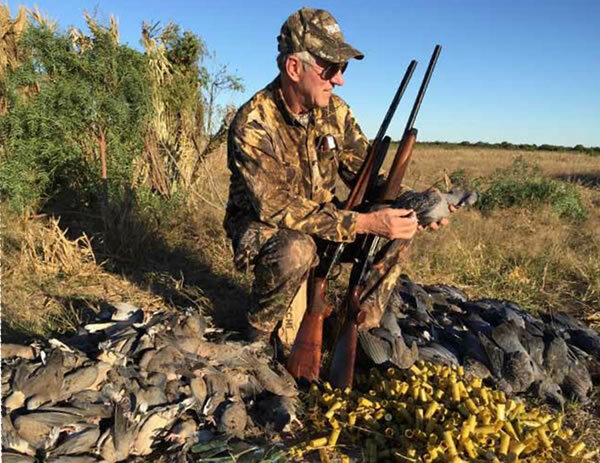 Doves are always the easiest for the outfitter, and perdiz are fairly straightforward; but good pigeon and duck shooting are the most difficult to deliver on, so the outfitter must work very hard to ensure success on these birds. Perdiz are not a covey bird like quail. We hunted with dogs and jumped them mostly one at a time. It’s a little like hunting bobwhite singles back in Missouri, except they run a lot before finally flushing. Perdiz have white meat and are quite delicious. We had the legs for hors d’oeuvres and the breasts for lunch or dinner – prepared by the resident chef. The duck hunting (mostly teal this time of year) was pretty conventional, a simple temporary blind near a pool of water, with decoys out front. The ducks started flying before we could see well enough to shoot, but soon we were firing away. 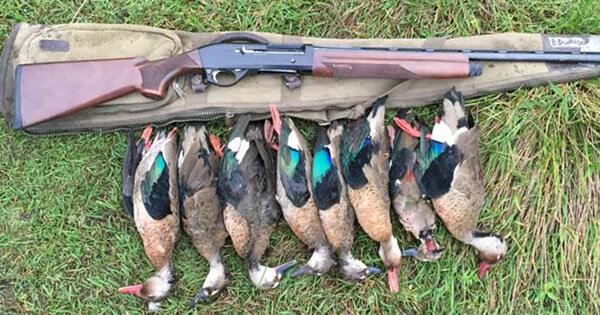 It’s hard to believe that it takes 3-4 boxes of shells to shoot a limit of 25 – as close as they were. 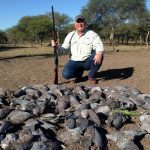 My favorite of all the hunts, though not the most shells fired, was an afternoon of dove and pigeon shooting from the same blind. There were thousands of doves, in small to large flocks, and a few pigeons. I shot 30 boxes of 20 gauge ammo (750 rounds) and killed 42 pigeons and 348 doves. 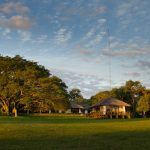 The lodge was located on a beautiful estate, 150 feet above the Parana River. It was purpose built for hosting hunters and was a near perfect fit for our party of twelve. It’s been my great fortune to shoot birds in this country many times, but I must confess that this trip may have spoiled me. It was truly a Bird Fest in Argentina.